A punnet of blueberries is a dangerous thing: ideas of muffins, pancakes and smoothies spring to mind - the reality? Half the punnet's gone before you decide how to use them, the rest doesn't tend to last until the mixture is made. But maybe that's the reason why they make it into our top top ten - they don't need to be stewed or baked or prepared in any way to be delicious: the very definition of nature's fast food. Whilst the variations aren't as apparent as in other fruits (apples/oranges etc), there's a whole host of blueberry types to choose from, the most popular in the UK being the Duke variety, in season from June through to September. Other varieties grown in warmer climes see us through the colder months too, but nothing beats the taste of locally grown. 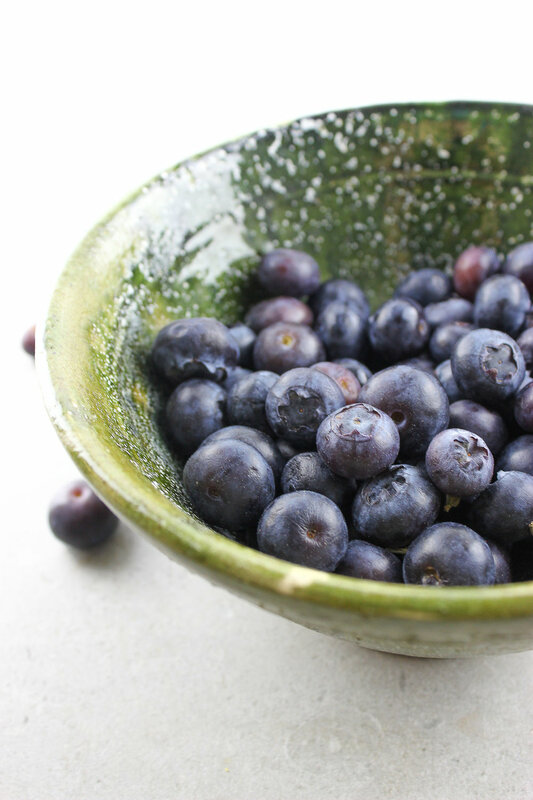 For the best, look for firm, dark blueberries avoiding any that look bruised or a little on the squishy side. - Raw desserts and blueberries are a great match too. Blend blueberries into a mix of soaked cashews, coconut oil and coconut milk (with a little added maple for extra sweetness) for a raw cheesecake topping. - And of course, smoothies. Frozen banana, frozen blueberries, spinach, maca and almond mylk is one of our staple go to's.